The primary purpose of breathing is to absorb oxygen and expel carbon dioxide through the lungs. While everyone understands the importance of this basic physical function, it's easy to forget the huge impact it has on our everyday life. Shallow breathing and other problematic breathing techniques are capable of causing stress, anxiety, insomnia, chronic fatigue and numerous other conditions due to the poor exchange of oxygen and CO2 in the bloodstream. When these vital gases are not in balance, physical and mental health are both likely to suffer. People who are stressed are likely to engage in shallow breathing, which can exasperate existing stress levels and induce anxiety. 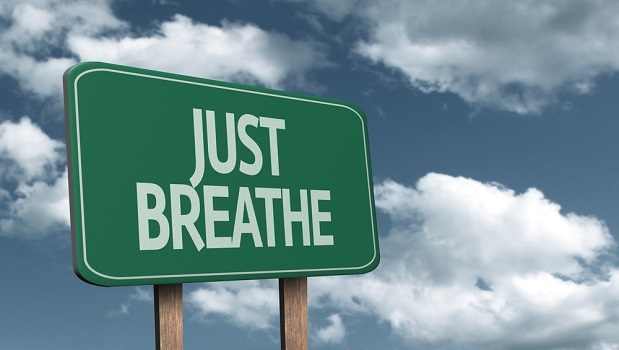 Breath awareness and controlled breathing can help people manage stress-related conditions and promote deep relaxation. Whether you want to practice traditional yoga breathing techniques or perform simple exercises at home, concentrated yet comfortable breathing is the key. The general aim is to make a change from shallow upper chest breathing to abdominal breathing, keeping your upper chest and stomach still while your diaphragm works with your abdomen. Proper breathing technique has also been shown to increase work and academic performance in many studies. According to Dr. Patricia Gerbarg, co-author of 'The Healing Power of the Breath', long and slow breathing helps to regulate the autonomic nervous system and manipulate the emotional and physiological states that influence productivity. "For maximum productivity, you want to breathe in a way that will keep you in the parasympathetic zone so you are calm and stress-free, but not too far into it to the point where your mind is mush.” said Gerbarg. The Breathe Project in Queensland has found links between correct breathing and enhanced mental performance in children. Developed by Bodhi Whitaker and Kat Tucker, this project teaches students how to utilise their breath in order to function better at school. According to Mr Whitaker, "Most of us as a population are all breathing very short, sharp, rapid breaths just into the chest and actually depriving our bodies, our whole nervous system, and our brains, of oxygen ... What we're essentially doing is getting people in touch with the fullness of their breath, helping people actually breathe and use their lungs, to use the function of the human body that's there to be used." Breathing deeply also helps to boost immunity, with people who engage in certain breathing techniques able to control their body's sympathetic nervous system and immune response to some extent. In a recent study from the Netherlands, a group of people who performed cyclic hyperventilation and breath retention techniques fared much better than a control group when exposed to a toxin that causes flu-like symptoms. While breathing is automatic by nature, we can enhance our mental and physical health by becoming more aware of our breath and recognising its profound influence on everyday life.